Amazing price for Movie Colony East. Large available yard for pool if desired. Wonderful home on a coveted street. This 2 Bed 2 Bath (1285 sq. ft.) has been lovingly cared for and has recent upgrades such as new energy efficient windows and sliders in 2015 as well as a new AC in 2017. The home retains its original kitchen cabinets while the master bath has been remodeled. The home features large entertaining areas, including an enclosed porch currently used for dining (which is not included in the square footage). The living room has a gas fireplace. The bedrooms are spacious and the master includes a large walk-in closet. There is an indoor laundry area, and a separate 1 car garage. All appliances including W/D, Refrigerator, Range, Dishwasher and Microwave are included with this home. 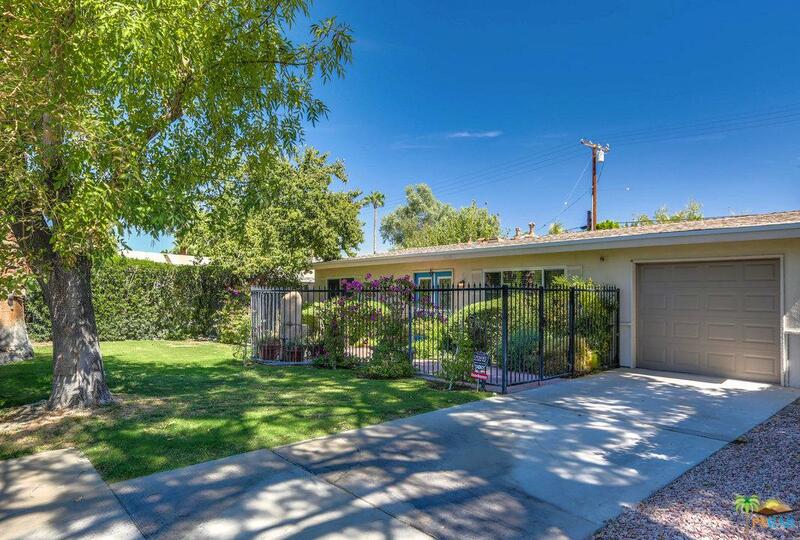 The pet friendly yard features multiple areas for enjoyment including a covered patio and lawn with fruit trees.